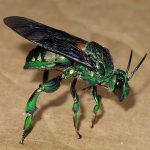 This is probably one of the rarest and most be beautiful insects I have ever captured a picture of. 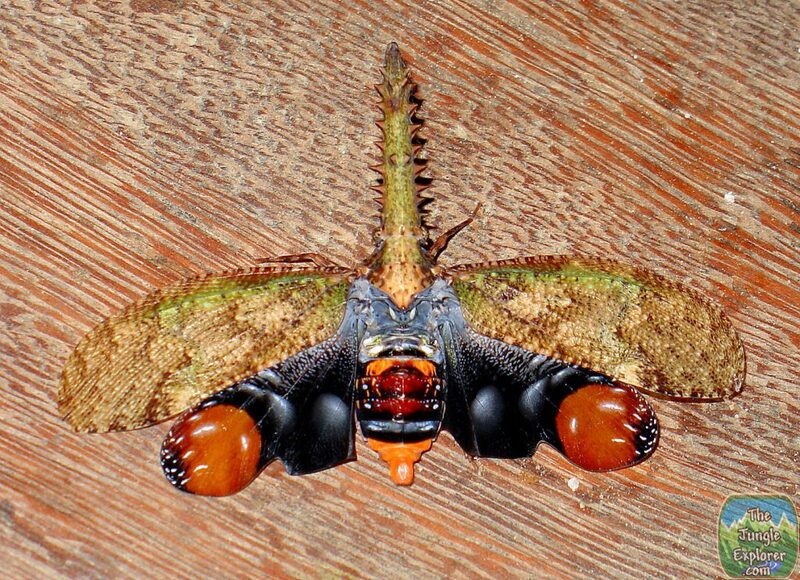 The Saw-Nosed Lantern fly (Cathedra serrata) is extremely rare type of lantern fly. Very few original picture exist of it. In fact, it is so rare that Harvard University ask for permission to use my picture, which I was happy to grant. 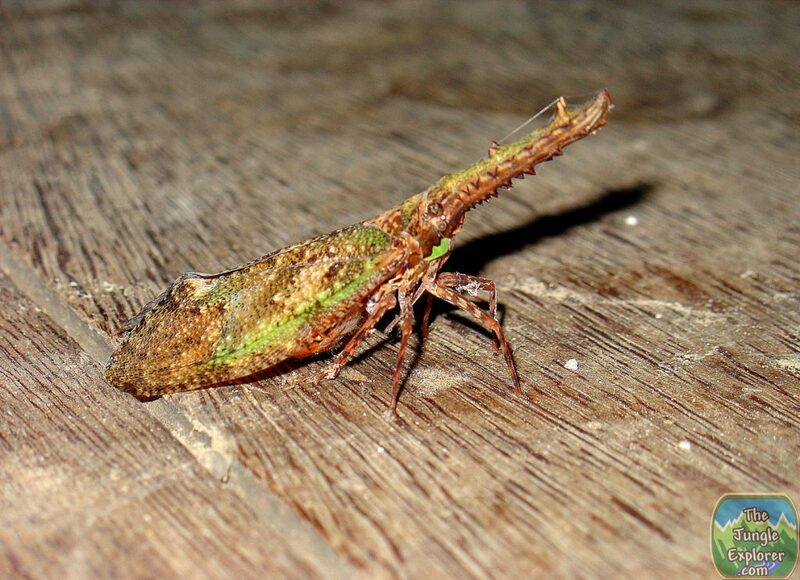 Truth is, I was very lucky to have even seen this amazing insect. In my 20 years in the Amazon, I have only ever seen this one, and it just so happen to have flown into my hut. Some resources state that the, Cathedra serrata, is limited to French Guyana. This picture was taken a few hundred miles away from French Guyana in the State of Roraima, Brazil. 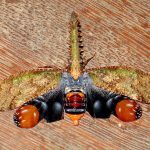 The Lantern fly was on the floor of my house when the photo has taken. So it’s range is greater then what has been previously stated about it. The position it is in in this photo is a defense position. This position is meant to scare off would be predators. 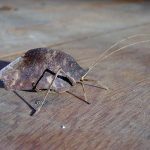 It was difficult to capture the bug in this pose, because it only assumes this pose for a split second after it is tapped on it’s nose. 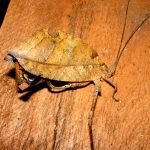 When I first saw the Saw-Nosed Lantern fly (Cathedra serrata) it looked like the picture below (See profile picture below). It was only after I tapped it on it’s nose that it spread it’s wings as in the first photo. In fact, tapping it on it’s nose cause it to do a complete back flip that ended with it landing in the full spread position of the first photo. Which it only maintained for a second before closing it’s wings up again. 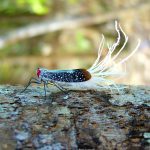 It took many try to capture these photos of this fascinating insect. I had no idea what it was at the time and did not know how rare this bug was until years later. Just in case you were wondering, I released it unharmed back into the Amazon Rainforest to live out it’s life. 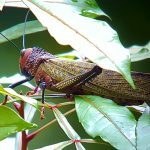 For more information about the Saw-Nosed Lantern fly and other amazing tropical insects, check out these resources below. A Custom Two-Tone Coffee Mug with this image on it!